DS Over the Hedge (Europe) "100%" in 21:54.06 by jlun2. 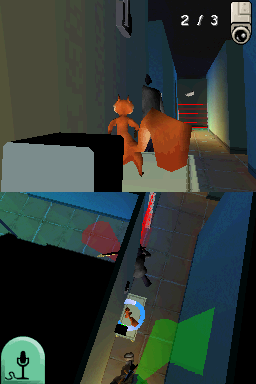 Over the Hedge is a stealth-based platformer for the Nintendo DS based on bypassing home security in order to steal things for endangered species. This time, our heroes suddenly decide to become completionists. jlun2 improves upon the previous publication by 15.36 seconds, thanks to the use a new NPC wall clip in the last level as well as some optimizations.